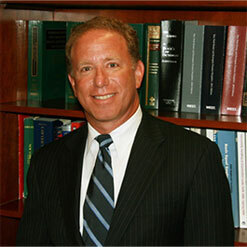 Lee A. Schwartz, Esq. has practiced law for over 25 years in the areas of corporate and real estate law, and all aspects of trusts and estates. Clients refer to him as a “deal maker,” who is accessible, responsive and more than thorough. Mr. Schwartz advises companies on their day-to-day activities, as well as negotiating and structuring corporate acquisitions and sales. He also provides general corporate counsel services that include the drafting and review of all types of agreements and other documents that arise on a daily basis in the corporate world. His extensive legal experience in this area and his business background allows him to offer practical solutions to his clients' challenges. Mr. Schwartz's trust and estate experience ranges from the drafting of simple wills to complex estate planning, as well as the probate and administration of estates. He helps his clients attain their estate planning and charitable goals by advising them in the creation and administration of trusts and other estate planning instruments, with consideration given towards all relevant estate, gift and income tax consequences. He has received numerous appointments as a guardian ad litem in the Surrogates Courts of New York, Nassau, Suffolk and Kings Counties. Lee graduated from the Ross School of Business Administration of the University of Michigan (Ann Arbor) in 1989 before attending Brooklyn Law School. As for his credentials, Lee served on the Board of Directors of the Syosset Chamber of Commerce for seven years. He is a long time member of the American Bar Association, and participates in the Business Law and Real Property, Trust & Estates Law Sections. For the New York State Bar Association, He belongs to the Real Property Law Section, the Business Law Section, and the Trusts & Estates Section. He has also been an active participant on the Real Property Committee, Corporate, Banking and Securities Law Committee, and the Surrogate’s Court Committee at the Nassau County Bar Association.